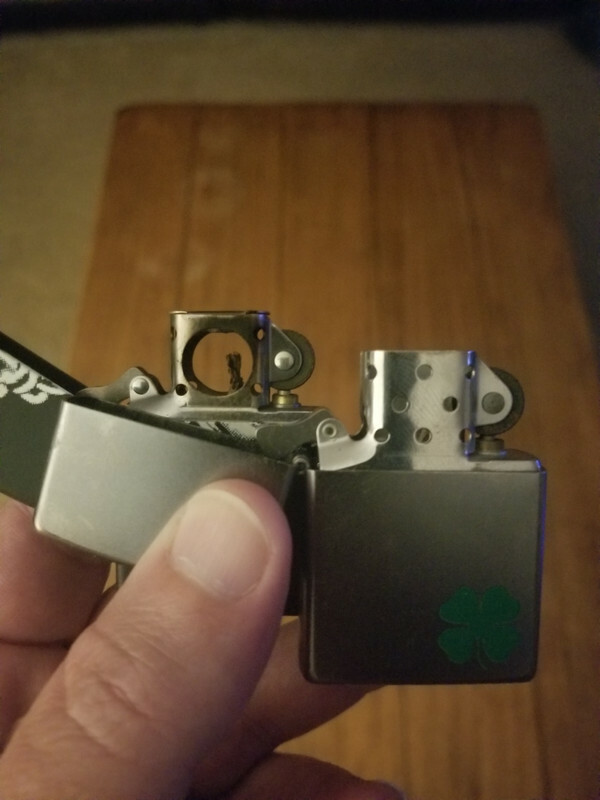 For years I used a Zippo to light cigs. At first the fuel smell was quite distracting but in time I stopped noticing. Then when I lost the Zippo & went back to Bics, it seemed that something was missing. I've noticed that many pipe smokers use a Zippo. A few, including advertisers, use the term a 'Zippo pipe lighter'. From what I can tell it would appear that's a bit like advertising a 'left handed cup'. Is there actually any difference or is a 'pipe Zippo' just a normal Zippo lighter? Now that makes sense; I thought using a standard Zippo to light a pipe would've been awkward. The standard zippo works better than you might think. I do prefer the pipe lighter insert, but the original design is what everyone used for a long time. I had a pipe Zippo and I liked it. I liked it a lot. I lost it, though, as I often do with things that I only have one of. Don't tell Mrs. King I just said that. I've used regular Zippos for years and I find them just as good for a pipe as I do for a cigar. A pipe insert is nice but it isn't necessary. I'm not against the pipe insert. I'm in favor. I just don't see much need for it when the regular model works just as well. I'm a hard and hot pipe smoker, always relighting and tamping and relighting and puffing away, and I find the regular Zippo still has a soft enough flame to not deform or char a bowl. As with anything, use judiciously. That picture is so beautiful that I'm getting all misty-eyed just by looking at it. Zippo make a fine lighter that has stood the test of time. I also use the pipe insert. It helps keep the flame off the rim of the bowl.